I’m very excited to announce that I finally made a two part mold successfully! 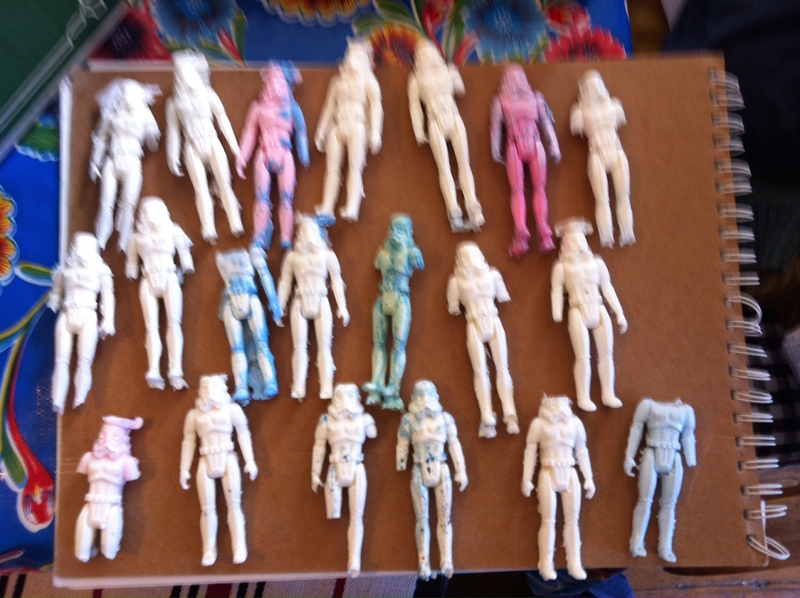 I’ve finally started making a private army of original Kenner Stormtrooper action figures. Most of these troops look like they’ve seen a lot of action: missing limbs, head cavities; you get the picture. 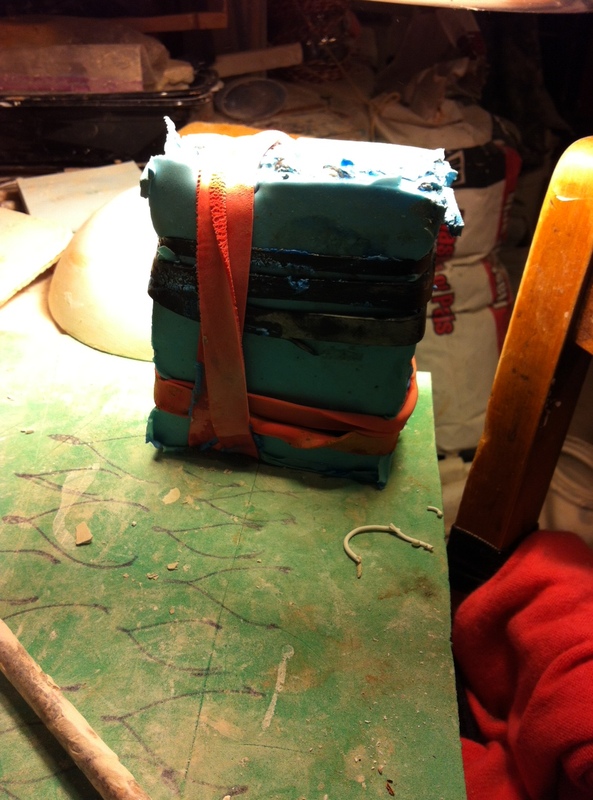 Grotesque deformities and injuries not withstanding, I’m on the road to making two part molds more effectively. Here is the mold itself. I’ve wrapped rubber bands around it to keep the seal snug. And we have a stormtrooper! Missing hands, but success for the most part. And an army soon grows! 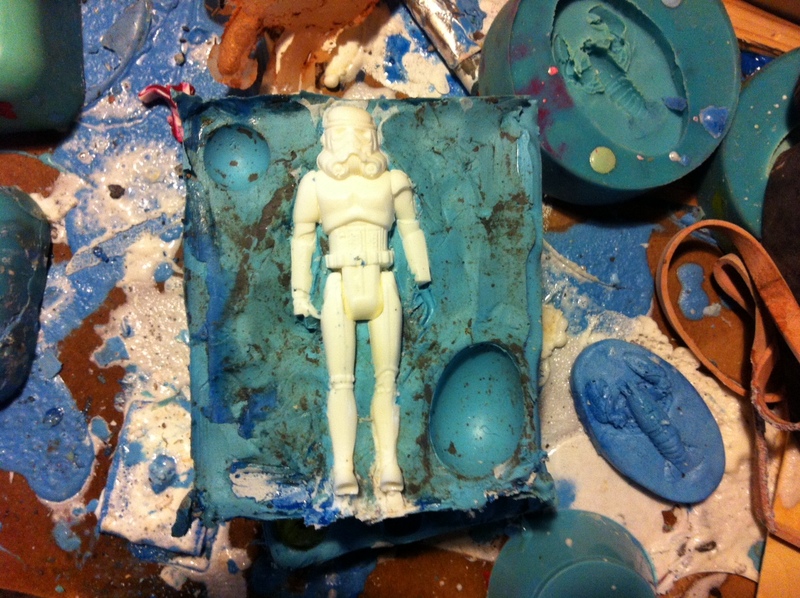 This entry was posted in 2015, art, design and tagged art, cartoons, comics, design, illustration, making, mold, peter glanting, resin, silicone, star, stormtrooper, wars by pgglanting. Bookmark the permalink.